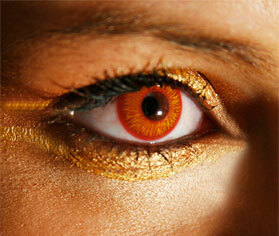 Look totally freaky and predator-like with Coco Contact’s Wild Vampire Wolf Eyes. With its bright orange and yellow hues, there is no mistaking the wolfish glare and the wild stares that you will be giving. Get your pair now only at cococontacts.com.